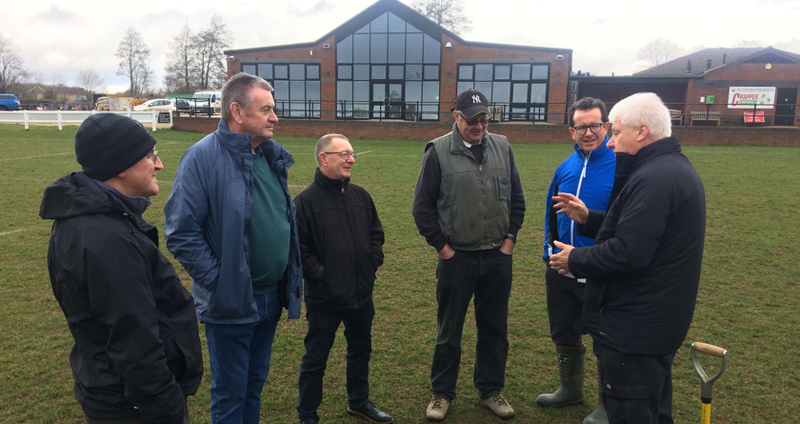 A Wiltshire rugby club which took a huge step four years ago to keep its five pitches and training areas playable has received a massive boost from one of the top names in English rugby. In 2015, Royal Wootton Bassett RFC applied for a Rugby Football Foundation (RFF) grant and sought funds from a Sport England grant for grounds maintenance equipment. With funds in place, and after receiving expert advice from Keith Kent, Twickenham’s Head Groundsman through the RFU’s ‘Groundsman Connected’ scheme, they chose a Terra Spike XF6 refurbished through Wiedenmann UK’s own workshops. The South West 1 club runs three regular senior teams, six 13 – U18 junior teams and six age groups from Under 6-12 years. Fast forward four years. Keith Kent on his return celebrated the efforts of the dedicated volunteer grounds team. Assessing the club’s Ballards Ash facility as part of a review programme, he reserved highest praise for those who give up their time for free. Special praise was also extended to contractor, Bretton King, who is employed by the club to implement major improvements.